The Story Within Interactive Plotting Guide. If you’re a character-driven writer in search of a plot, or a plot-driven writer in search of characters, this is the book you’ve been waiting for. The Story Within Guidebook helps you explore your own story and connect your plot directly to your characters, and vice versa. Using the exercises, you’ll be working towards a more vivid and coherent plot, and vital and active characters. Check out the excerpt below for a sample. Heroism comes from the protagonist doing something difficult. It should be positive in terms of the plot; that is, she rescues the child; he wins the gold medal– to be heroic in the Western popular tradition, at least, the character usually has to be effective. world-changing as stopping a nuclear explosion, or as minor as apologizing. might be heroic on his scale is to… admit he was wrong. Or reach out for help. Or stand up to his boss. Or adopt another pet after his best buddy Rover dies. likely what he ought to be doing. (apologizing to his dad) – or both. challenges that stretch them, that force them to change. So even if they commit all sorts of derring-do, they aren’t better in the end than they were at the beginning– they’re no more courageous or self-aware or well-adjusted. They aren’t any more able to live a fuller and better life. That makes the events of the plot seem unimportant, as it has no real effect on the characters. Grail, or win that promotion. That conscious, chosen journey forms the external plot. But you can’t stop there. You have to give her an internal journey too. plot– only that you give it the additional purpose of character-propulsion. That’s really easier than it sounds. Just think of it this way: What protagonist could most benefit from the events of this plot? internal conflicts and resolve them. do that, you’ll find it much easier to select the particular plot events to make up that protagonist’s journey. Conversely, if you’ve already got a plot, then you’ll need to create a protagonist who will benefit from making the journey through that particular set of events. 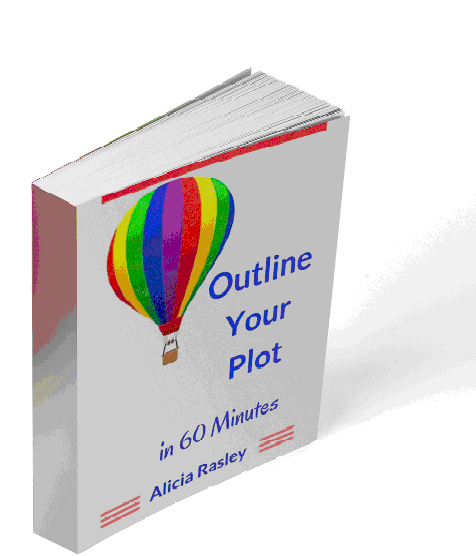 For a comprehensive journey through plotting a book, try The Story Within Interactive Plotting Guide.